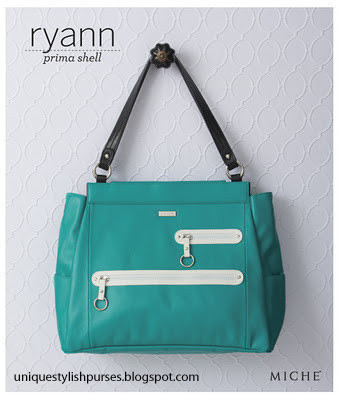 The beautiful Ryann Shell for Prima Bags conjures up images of white sand beaches, Caribbean waters, warm tropical breezes and brilliant sunshine. Bright turquoise faux leather is punctuated with two zippered front pockets, white detailing and rivet accents. With the fun zipper pulls they are ideal for decorating with our Charmers and White Linked Fashion Handles.